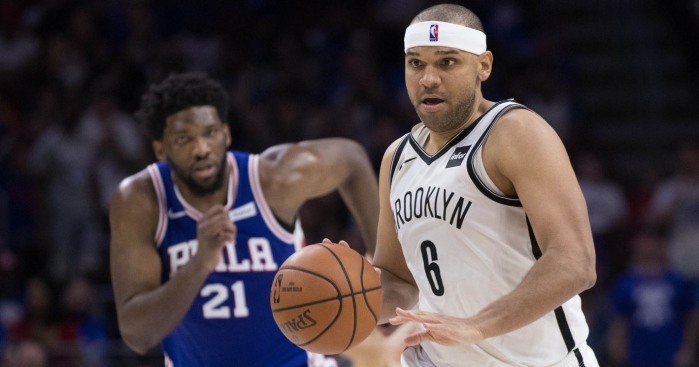 It's not quite yet time to panic, but oddsmakers have sent a very stern message to the Sixers after their Game 1 loss on Saturday. Entering the series opener, the Sixers were overwhelming -700 favorites on DraftKings to win the series. That means if you bet $700 on the Sixers to advance, and they did, your total take would be $800. After their 111-102 loss at the Wells Fargo Center, the Sixers are still favored, but DrafKings have moved the three-seed to -182 to win the series. That means if you made the same $700 bet today, instead of taking home $800 on a series win, you'd be bringing $1,084.62 home. The Sixers' odds to win the NBA Championship have also moved significantly from 16/1 before the playoffs started to 23/1 following Game 1. The Sixers were seven-point favorites to win Game 1, which moved to 7.5 once Joel Embiid was confirmed to be in the starting lineup. Interestingly enough, even after a lackluster performance, the Sixers are back at -7.5 for Monday's second game of the series. Obviously, the books still like the Sixers to advance to the second round, but they need to bake in some liability should the Nets take both games in Philadelphia, which they're giving them a 3/1 chance to do. Each team now has three home games remaining in the seven-game series, and it looks like the Sixers will still be favored to win all of them, even if it's just slightly, when they hit the road up north. Taking a look ahead, if the Nets win Game 2 in Philly, they'll hold a 2-0 advantage with three home games left. The odds would shift significantly and the Nets would be favored to win the series. If the Sixers win, and are full value for the W, they will jump back up to being fairly significant favorites to win the series, probably closer to -450 or so. While the size of the jump from -700 to -182 surprised me, the fact that the Sixers are back at -7.5 for the second game should instill some confidence that everyone is expecting the team to rebound. However, if things don't change on Monday, look out.